your presence will grace our occasion. 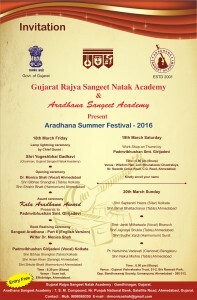 About Aradhana Sangeet Academy(Internationally recognised) is going to take exams[Prarambhik to Sangeet Visharad(B.A. in Music),Sangeet Alankar(M.A. in Music),Sangeet Pravin(Ph.D in Music). Exams forms are available at Academy. Last date of submission is 5th August 2017.
is celebrating KIRTAN CONCERT on 26th July 2017. 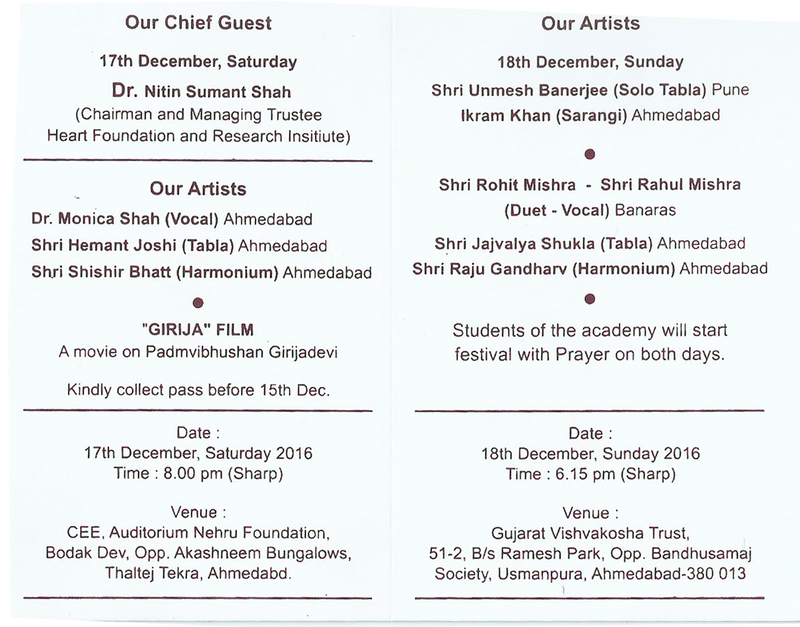 Dr.Monica Shah and all the students of academy will sing KIRTANS and BHAJANS to praise Thakorji(Lord Krishna). 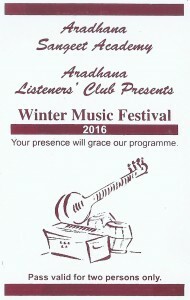 All Music Lovers are invited. Attraction of the event. 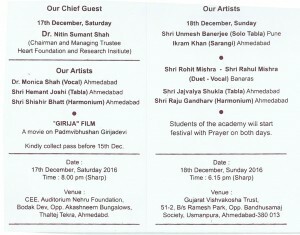 :- Award ceremany of visharad Students. Singing of the Students of Academy, Award Winners and Dr. Monica Shah. 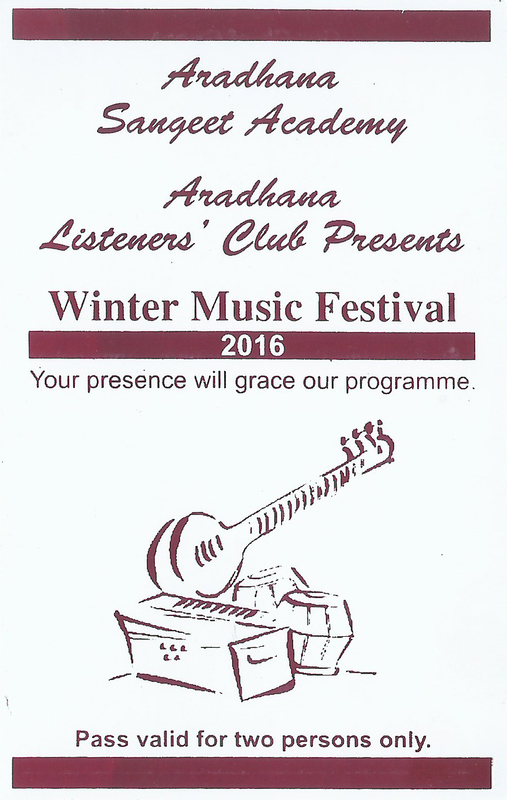 is celebrating Aradhana Winter Festival – 2016. 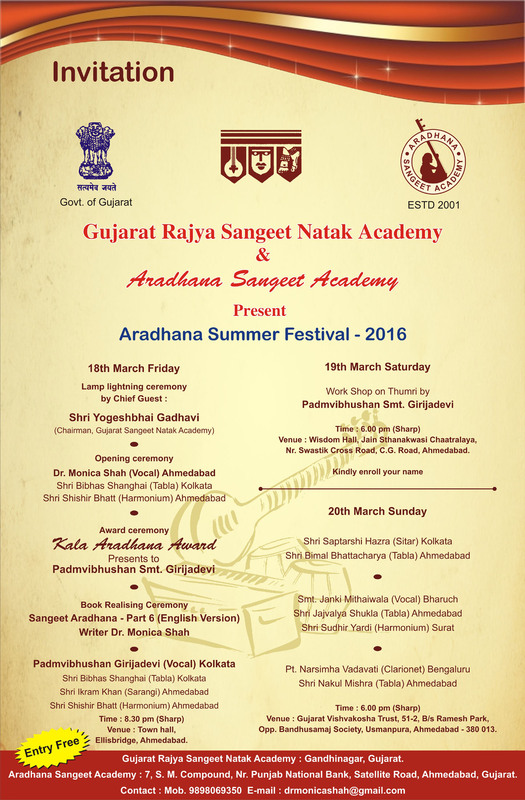 Date-17th and 18th December, 2016.
is celebrating Aradhana Summer Festival 2016, between 18th March to 20th March. 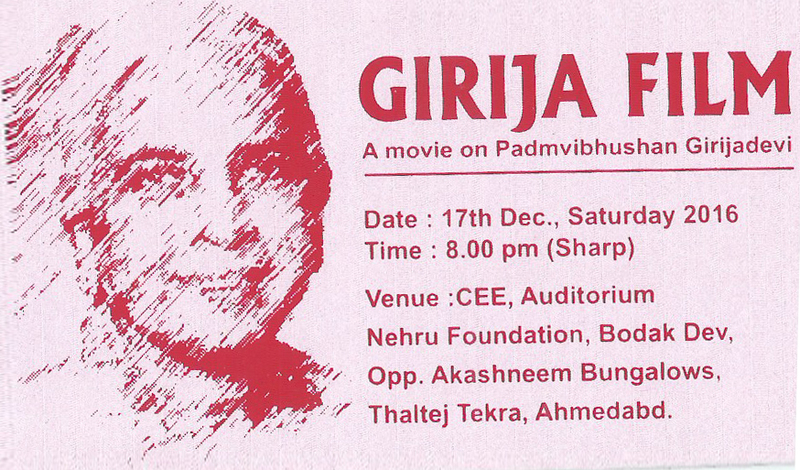 ‘Kala Aradhana’ Award will be presented to Padmavibhushan Smt. 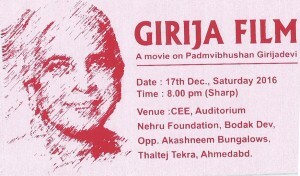 Girijadevi. is celebrating 14th Annual Function. Opp, Akashneem Bgls, Thaltej Tekra, a’Bad. Day 1 :- Gajjar Hall, Law Garden, Ahmedabad.